To help the developer team in troubleshooting, besides the screenshots of the error, you should as well attach the log file of the application. 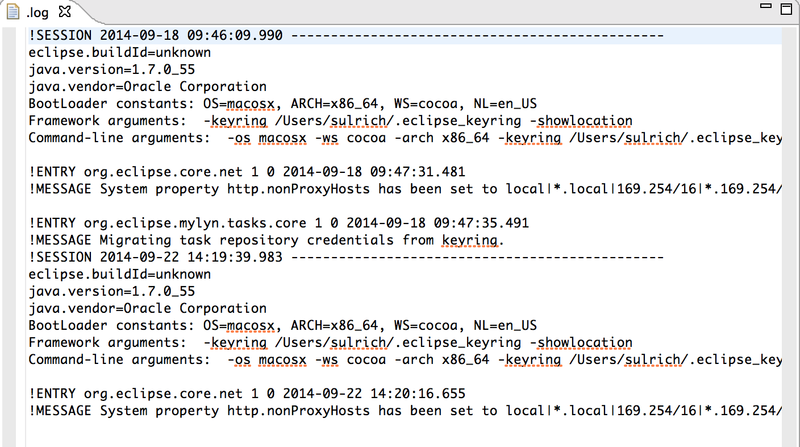 You can access this log file from the Error Log View. To bring up the view, go to Window > Show View > Other > General > Error log. The Error Log view will now be displayed in the bottom section of the application. You can open and export log files by using the toolbar buttons. 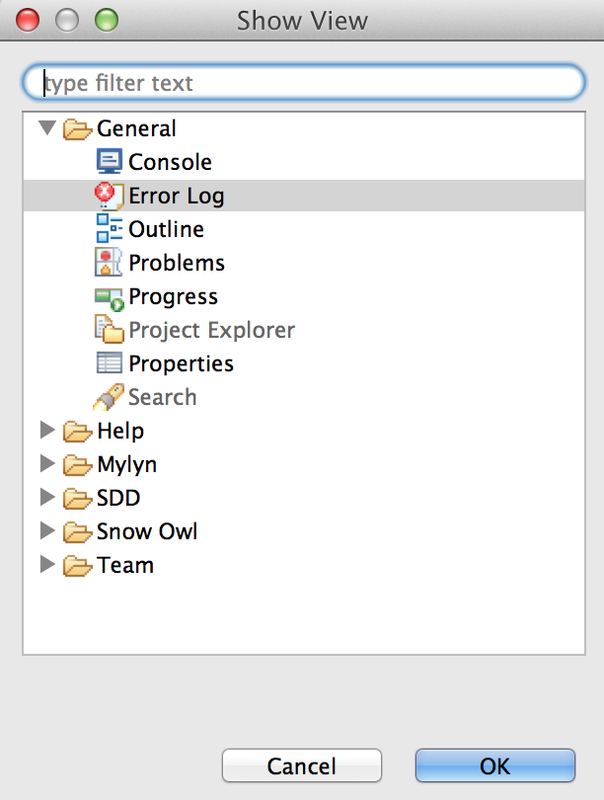 Open log: Select the log file you want to open from the list, and click the toolbar button to display the log file in an editor. Export log: Use this to export the log file, for example if you want to send it to the developer team. Note: When working in collaborative mode, an error can occur either on the server side or on the client side. If the error you encountered is related to the server, your Error Log view will be empty. In this case you should contact your system administrator who can connect to the server and access the log files.